Ahhhhh! Exams are finally done, you’re headed home for the holidays, and you can finally say you’re stress-free (until next semester anyway). It seems like the best time in the world knowing you now have limited too zero responsibilities. But not so fast. Although this is the time to relax, you don’t let your mind ‘chill’ for too long and let all the great information you consumed all semester go in one ear, and out the other. It is very important that you keep yourself, and more importantly, your mind, healthy over break. Now there are many different ways to do this, but I’m going to go over just a few to keep you keep you one your toes this holiday. Stay physically active: I know the number one thing on your mind is to just relax and do absolutely nothing all break, but don’t let your body and mind get into such a relax state that it is going to delay your comeback for next semester. Studies actually show that, more volume of brain power is given to the prefrontal cortex and medial temporal cortex, which controls our thinking and memory, when you exercise regularly. So who knows, you may end up coming back to school with better memory than you left with if you stay physically active. READ: Reading usually isn’t the fan favorite of activities when college students have time off. After a full semester of non-stop textbook reading, who wants to spend their free time reading a book? Well just let me just say that I have a suggestion for you. Reading doesn’t strictly mean that you need to sit down and read a one thousand-page novel. Find magazine articles, newspaper clips, or even read up on current events online that interest YOU. Any kind of reading is good reading to keep the brain strong. Write a Blog? : Wait a minute… What are you looking at right now? Oh yeah, it’s a blog. This time you have off may be a great time for you to start your own blog posts. It can be about a plethora of different topics, whether it be your workouts, what you did over the holidays, or even how much your little siblings have been bugging you since you got home. Anything! Sit down, and find a topic you can talk about and almost make it your own little personal diary. There are so many things to do this break: spend time with the family, catch up with some home-town friends, and just take a break from your strenuous workload you have at school. 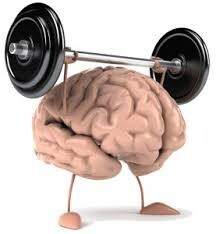 But don’t neglect the importance of keeping your “brain strength” in your time off. Pick one or more of these things to keep your mind in shape for the return of spring semester! For more information: Check out these links!